A small landmark today in my parkrun progress when I arrived at my 200th different venue. Of course, all parkruns are of equal value, so theoretically my 200th was of no more significance than my 198th or 199th, but it’s always nice to reach a nice round figure. I had intended, up to yesterday morning, to travel to Severn Bridge parkrun but I made a late change due to unforeseen circumstances. The unforeseen circumstances were that yesterday morning, while out running along a stoney path that I had run along hundreds of times before, I tripped and fell heavily. There were no major injuries but I did have cuts and bruises all down my front and I did jar my back. I decided therefore not to risk a long journey and go instead to my nearest parkrun not yet done and headed off to Mountbatten School in Romsey. Mountbatten also had the advantage of a grass course so, if I fell again, hopefully, I wouldn’t hurt myself too badly. Mountbatten School is in Romsey, an historic market town in Hampshire on the River Test, only a few miles to the north of Southampton. It is a town with a lot of history. The first Romsey Abbey was built in the tenth century. The Abbey was extensively rebuilt in the Middle Ages and unusually survives to this day (picture above). Most monasteries were demolished after the Reformation but Romsey survived and was converted into a church, the largest in Hampshire. The Domesday Book lists Romsey as having three mills. The watermills on the River Test were the main source of Romsey’s prosperity, fuelling the woollen and tanning industries which endured for several centuries. There are many fine old buildings in the town centre. Apart from the abbey, there are several fine old pubs and hotels and an ancient watermill. On the edge of town lies Broadlands, an elegant manor house set amidst a parkland estate. I have indeed run around Broadlands when I took part in the Romsey 5 a few years ago. 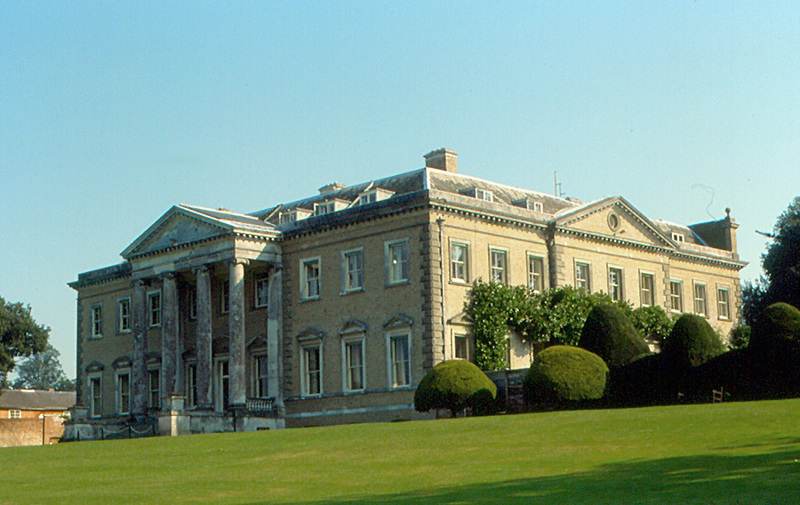 Broadlands was once home to Lord Palmerston, the nineteenth century prime minister, but for more than a century it has been known as the home of the Mountbattens. The Mountbatten family are cousins of our own Royal Family. They are the descendants of one of Queen Victoria’s daughters who married into the Battenberg family from Germany (an event which gave rise to a cake!) By the early twentieth century the British branch of this family were installed in Broadlands and, during the First World War, they anglicised their name to Mountbatten. The most famous member of this family was Louis Mountbatten, later Earl Mountbatten of Burma, who had a distinguished war record, was then the last British viceroy in India and was later a mentor to the young Prince Charles. After his murder in 1979, he was buried in Romsey Abbey. The Mountbattens gave their name and their support to a number of good causes in the Romsey area, one of them being the foundation of a school in 1969. Mountbatten school is a co-educational comprehensive with around 1400 pupils. It has achieved the status of a Language College (hooray!) and also a Sports College (double hooray!) The parkrun takes place around the playing fields of the school. It is a three lap course, mainly on grass, fairly flat but rather winding and twisting. I imagine it could be a bit muddy in winter but it was nice and dry today. Mountbatten parkrun is a very recent addition, this being only run number five. So far it has attracted a good turnout each week, mostly of tourists and first timers. There were 173 starters today on a fine spring morning. I wasn’t sure I was going to make it to the start this morning. If it hadn’t been my 200th today I might have given myself a day off. When I woke up my ribs and my back were still very sore. I took a couple of nurofen and headed off to Romsey anyway. When I was there I went for a little jog around the field to see how I felt. The answer was not great but the pain was bearable, I was able to run and so I lined up with the others. I started very slowly and gradually built up to about the fastest pace I could sustain without it being too painful. I was doing okay, gradually moving up through the field, though a long way behind the leaders and rather slower than I’d normally run. I was glad to see the finish after three laps as I wasn’t really enjoying running with that level of pain. I was 31st overall in a time of 23:15. One of my slowest times but not the slowest ever. Mountbatten is a nice parkrun, in a pleasant setting, with friendly people, so I might return one day to run a faster time. My statistics for today - that was parkrun venue number 200 (I may have mentioned this already!) I was first in my age group and ninth overall on age-graded scores. What happens after you have completed your 200th parkrun? You continue on to number 201! My target setting is not yet over. I would like to get up to 250 parkruns altogether (currently on 230) and claim the dark green t-shirt. At the current rate, I might get there by early autumn. I would also like to get my total of parkrun venues up to 250 (a ‘Freyne’) In theory I could achieve this by this time next year. In practise, I would be happy to reach that point by the end of 2020. My next goal is to have a few days off to allow my battered body to heal. There is already a YouTube video of the Mountbatten course so here it is. It’s three laps, so once you’ve seen the first lap, you’ve seen them all!